Well, not really, but today’s product placement claimed to be! When found today’s commercial in late September, I was pretty excited (for more than one reason). But at the time, I knew something like this needed a good counter for Throwback/Flashback, since I like to do things in the same/similar vein, and this just screamed “awesome opportunity.” So I held onto it until I could check my archives and find something worthy of being partnered up with this commercial. I was successful, so this became this week’s Throwback Thursday. I always approach this with the sincerest hope that you, the reader and viewer, will enjoy what I’ve put forth, but today, I really mean it. Thanks for coming back time and again. I know I don’t always have gems of commercials for Throwback/Flashback, but once in a while, I do find something I consider extra special. Enjoy today’s article and video, and thank you for your continued support! 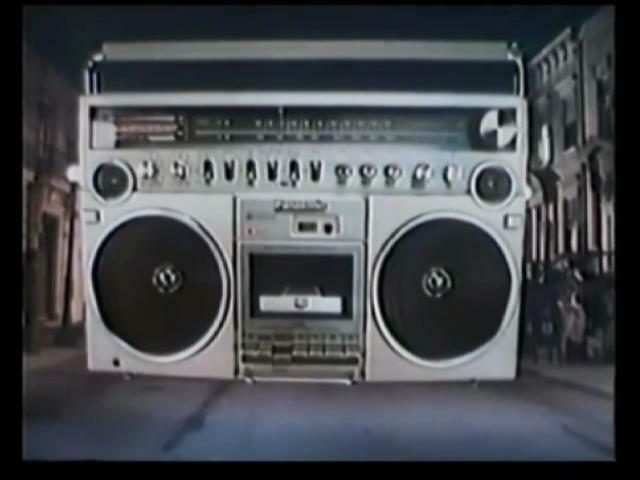 1970s funk meets the 1980s boom box of the future in today’s commercial. It claims to be from the 1980s, since it was included on that 1980s Saturday Morning Cartoons video I found on Amazon Prime. Quite possibly, this is one of the more unusual entries. Not because of what it advertises, but because of who advertises the product. Just doesn’t scream “aired during Saturday morning cartoons,” or 1980s for that matter. But hey, in the early 1980s, anything was entirely possible! …and so are these guys! Oh snap, it’s Earth Wind and Fire! And not just Earth Wind and Fire, but 1970s sparkly spandex and afros Earth Wind and Fire! 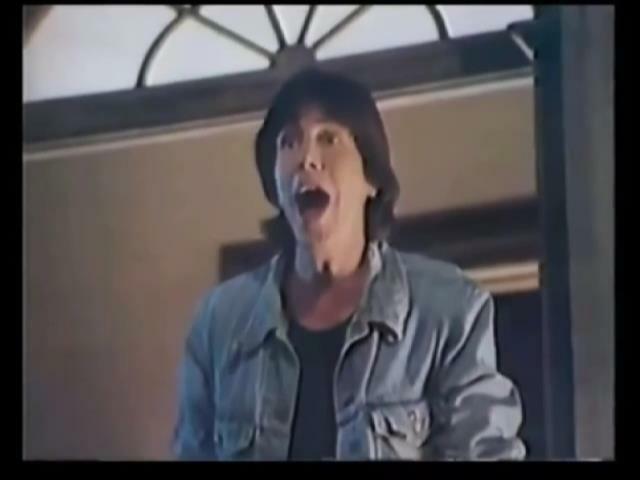 Third rate Scott Baio is excited. Because every kid watching this on Saturday morning had the exact same reaction! And you’ll feel the excitement too, when you click play! 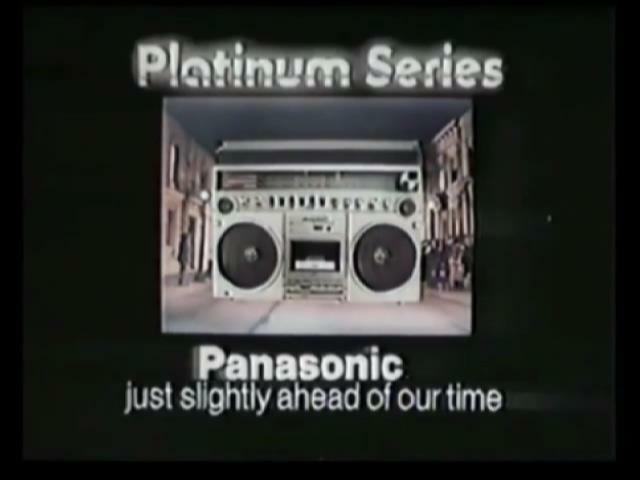 Panasonic toted their products as being “just slightly ahead of our time” since the 1970s, and continued to do so until the 1990s. So even though this commercial is from the 1980s but totes a specific sound style of the 1970s, it still holds fast to this claim. This commercial aired in 1982, featuring a group whose biggest years were in the 1970s. By 1983, Earth Wind and Fire disbanded (reuniting in 1987), so obviously they were nearing the end of an era around this time. But what a way to go out,by walking in and out of a giant boom box. I just love the excitement of the guy who witnesses them coming out of their giant spaceship boom box. Did anyone, aside from ladies at their concerts, ever get that excited over Earth Wind and Fire, or boom boxes for that matter? 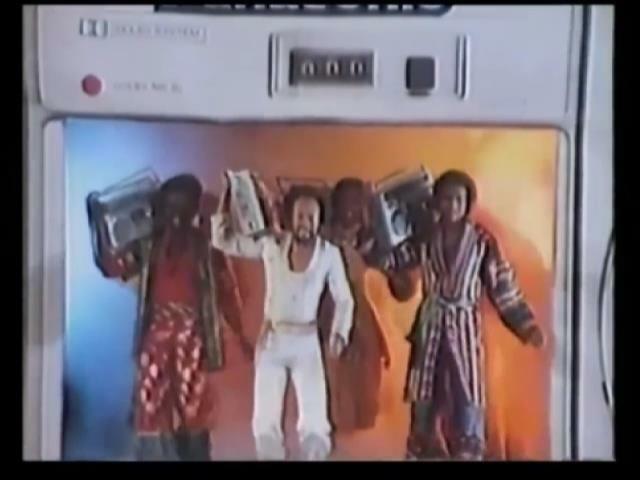 Like Earth Wind and Fire, Panasonic is still around to this day. Boom boxes, which were popular throughout the 1980s, saw their decline and demise in the 1990s, as these larger stereos gave way to more portable counterparts in the Walkman. And I’ll always cherish the fact that Earth Wind and Fire looked as funky as their music. Truth is, I was only mildly disappointed these guys didn’t wear these outfits when I saw them perform in 2015. Tomorrow, we continue the glory and awesomeness of portable cassette decks with another classic commercial. Like this one, you’ll never get it out of your head. Next Post But What I Love Is My First #FlashbackFriday!